The Boxing Truth®: New Year! New Champion? New Controversy! New Year! New Champion? New Controversy! The year 2013 provided much excitement and intrigue for the sport of Boxing and there is no doubt that as we enter 2014 that the sport has significant momentum to build on. Of course many fans have questioned what may transpire in the sport in the new year in regard to potential fights that might take place, prospects, and contenders who may rise to a higher level. Following what was a stellar year for the sport this observer has a very optimistic outlook for 2014 and was very much looking forward to the first world championship fight of the year between IBF Jr. Lightweight world champion Argenis Mendez and undefeated number one contender Rances Barthelemy which took place on January 3rd at the Target Center in Minneapolis, Minnesota. Barthelemy, who went into the fight with Mendez unbeaten in nineteen professional fights winning twelve of those bouts by knockout was a prospect turned contender who was looking to advance to the next level of the sport. Barthelemy began 2013 with a hard fought twelve round unanimous decision over top contender Arash Usmanee in a fight that some observers felt should have gone the other way. Barthelemy followed that victory with a second round knockout over contender Fahsai Sakkreerin to become the number one contender in the International Boxing Federation’s (IBF) Jr. Lightweight ratings. A question that all fighters eventually have to answer is how they will perform as they step up in caliber of opposition. For Barthelemy that question would be answered when he stepped in the ring to challenge champion Argenis Mendez. Mendez, who won the title in March of last year scoring a fourth round knockout in his second fight against Juan Carlos Salgado entered into his fight with Barthelemy following a majority draw in his first title defense in his last fight against Arash Usmanee last August. When the fight got underway Barthelemy used his physical strength to get the upper hand on Mendez as he was able to back the champion up by using his jab to set off combinations in the early going. Barthelemy would drop Mendez in the second round with a barrage of punches highlighted by a left hook. It was what happened after Mendez arose from the knockdown however, that would leave this fight marred in controversy. Mendez was knocked down with a little more than fifteen seconds remaining in the round, after getting up from the knockdown and subsequently being allowed to continue by Referee Pete Podgorski the champion would be knocked down for a second time as a result of a combination from Barthelemy as the bell rang to end the round. Mendez hit his head hard on the canvas and was subsequently counted out by Podgorski. What makes the ending of this fight controversial is the fact that the bell rang twice each with a single ding about a second apart from each other. The element of controversy is that the champion was not going down until after the bell rang for a second time. This now raises the question of whether or not Barthelemy’s knockout of Mendez was in fact legal. Although some may be tempted to point the finger of blame in the direction of Rances Barthelemy for landing punches after the bell that subsequently knocked his opponent out, Barthelemy was after all in the process of throwing a combination prior to the bell ringing for the first time. A fighter should not be blamed for something that was not done in malice or deliberately after the bell had rung as Barthelemy was already in motion. I believe had Barthelemy thrown the knockout punch deliberately after the bell, he likely would have been disqualified. It is the job of the referee to step in and break the action when a round ends. Referee Pete Podgorski was out of position at the time that the bell rang as he was behind Barthelemy and in no position to step in before the subsequent blows that knocked Mendez out landed. The question here at least in this observer’s eyes is whether or not the knockout was in fact legal? A few things to consider here are whether or not Podgorski was aware of how much time was remaining in the round and whether or not he heard the bell ring either time? The official time of the stoppage was 2:59 of round two one second before the round was to conclude. The bell however, rang singularly twice within a second of each other. Is it possible that the timekeeper rang the bell early? Should the bell have been rung more than singularly and louder in order to ensure that the referee and both fighters heard it ring? These are all relevant questions and could certainly play a factor in the near future as it is likely that the camp of Argenis Mendez will file an official protest of the official knockout loss and that of his world championship with both the International Boxing Federation (IBF) and the Minnesota Boxing Commission. When I saw the knockout and the circumstances of the stoppage of this fight take place thoughts immediately came to mind of another world championship fight that ended under similar controversial circumstances. Many historians likely remember the WBA Welterweight world championship fight between champion Marlon Starling and number one contender Tomas Molinares which took place on July 29, 1988 in Atlantic City, New Jersey. In a fight that the champion Starling was ahead on the scorecards Molinares brought the fight to a sudden and dramatic conclusion when he landed a right hand after the bell ending round six that knocked Starling down. Referee Joe Cortez much like Referee Pete Podgorski counted Starling out and later contended in a post-fight interview that it was his view that Molinares was in the process of throwing the punch as the bell rang as his explanation as to why he counted the knockdown as legal. Despite the opinion of Cortez, the result of the bout an official knockout win for Tomas Molinares was changed to a no contest by the New Jersey State Athletic Control Board (NJSACB) nearly two weeks following the fight. Despite the ruling by the NJSACB, the World Boxing Association (WBA) chose to recognize Molinares as it’s Welterweight world champion, although Molinares would abandon the title later that year having never defended it. No rematch between Molinares and Starling ever took place. Starling would regain a portion of the World Welterweight title when he stopped WBC champion Lloyd Honeyghan in February of 1989. Molinares would fight only twice following his fight with Starling, losing both fights by knockout in 1989 each to lesser known opposition before ultimately retiring. If one were to look at the Starling-Molinares controversy as something of historical precedent in relation to the ending of the Mendez-Barthelemy fight other than for the similarity in how both fights ended, you can also conclude that even the best referees can make mistakes. Joe Cortez was rightfully regarded as one of the best referees in the sport during his career that spanned thirty-five years. In this instance videotape replays clearly showed that the right hand by Molinares that knocked Starling down landed after the bell. Quite frankly although Cortez made a mistake, the punch landed at most two seconds after the bell had rung and it is understandable how a mistake can be made. It is important to remember that referees and timekeepers are human and mistakes can happen. Although some fans may be of the opinion that Rances Barthelemy was on his way to a convincing victory over Argenis Mendez anyway and may believe that this controversy is all academic, it is up to both the International Boxing Federation and the Minnesota Boxing Commission to review this fight and make a decision based on rules and regulations and not assumptions as to what may or may not have happened had this fight continued with no controversy. Although Barthelemy was clearly in control of this fight at the time of the stoppage, Argenis Mendez does deserve to have his protest, should one be filed heard. 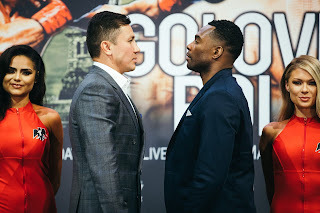 Even though there may be fans who are split in their opinion as to what they think should happen here, this observer believes that the fairest recourse for all involved would be for the IBF to mandate an immediate rematch between the two. If the IBF and the Minnesota Boxing Commission both render this bout a no contest after a review; Argenis Mendez one could assume would be reinstated as IBF Jr. Lightweight world champion. Should this ultimately be the case, Barthelemy should maintain his position as number one contender. The sport of Boxing has indeed benefited from the previous year and I am sure that will continue now that 2014 has begun. One might also argue that the sport has also benefited from the element of controversy throughout it’s history. Although controversy can indeed create interest and generate discussion, too much of anything is no good and controversy is no different. It is up to those who regulate the sport to ensure that those who compete in it receive a fair shake at all times and to see that any controversial outcomes that may arise are addressed in a timely manner. Does the sport overall need improvement? Absolutely… For now however, it is my hope that this latest controversy will be resolved as quickly as possible.